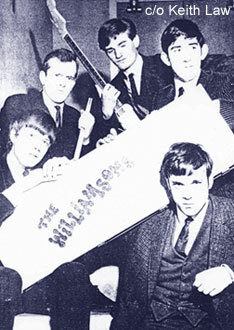 The Williamsons, (1965/66) from West Bromwich were a blues band whose gigs included; The Macabre, Casa Bambu, West Bromwich's only blues club. The Stork Club, Walsall Casino, where they were often the main band or support to the more well known bands at that time including The Moody Blues. The Williamsons supported the legendary American blues artist 'Sonny Boy Williamson' when he appeared in Birmingham in the late 60's hence the dedicated name of this group. Guitarist/vocalist Keith Law went on to form the Walsall based group Love and Understanding.